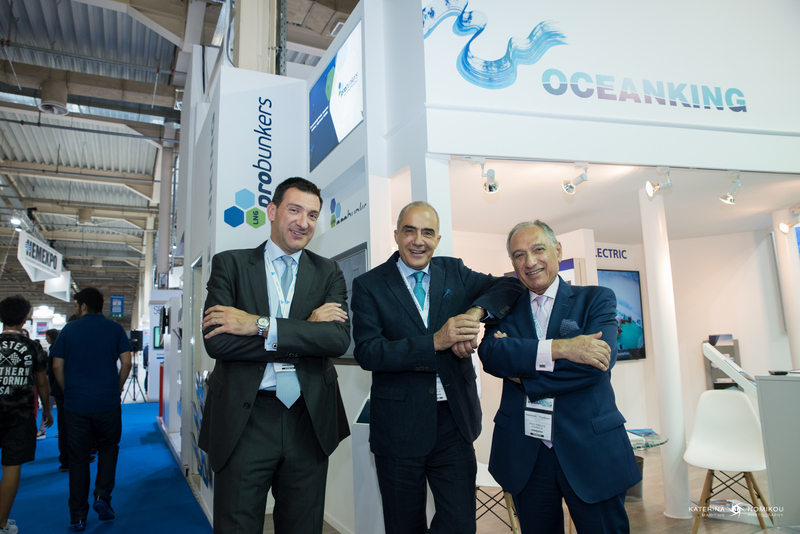 Athens, Greece, June 5th 2018 – A new, ambitious and exciting LNG Bunkering project was presented today at the biggest shipping event, Posidonia 2018: probunkers, an innovative multimillion USD global-scale project which offers the opportunity to invest in two fundamental and dynamic industries, Shipping and Energy. probunkers will design, build and operate a fleet of modern, eco-friendly LNG bunkering vessels to brace the ever-changing needs of global shipping. The project involves: Planning, Financing, Implementation, Operations and Sales. probunkers will have a three-tier role, as Physical supplier, LNG Trader/Seller and Barge owner and operator. The three-fold business model includes investment, trading and finance elements. The multi-layer model involves operations, LNG buying and selling, logistics and marketing. Nigel Lowry, Lloyd’s List Athens correspondent, hosted the inaugural event of probunkers, at the full house Posidonia Seminar Room Central. The experienced host presented the Board of Directors, Costas Hassiotis and Panos Yannoulis and introduced the company through a corporate video. probunkers’ CEO, Alexander Prokopakis, welcomed all attendees and made a short presentation of the project. “I anticipate 2018 to be a landmark year for the expansion of LNG as a marine fuel into shipping. We are determined to turn probunkers into a world-class investment opportunity and fulfill our vision to build a reliable global-scale LNG bunkering network” he quoted. probunkers will contribute to the development of LNG marine infrastructure by providing premier and reliable LNG bunkering services and aim to be among the early movers who will support the future of Sustainable Shipping and Green Energy.